Fabulous and Brunette: Ghost Writer by Alison Bruce - Book Tour - Guest Post - Giveaway - Enter Daily! 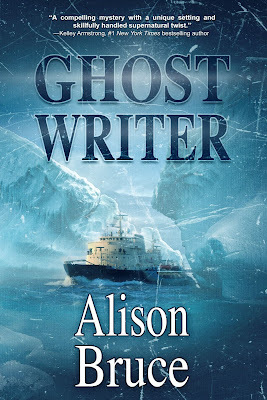 Ghost Writer by Alison Bruce - Book Tour - Guest Post - Giveaway - Enter Daily! Hi lovelies! It gives me great pleasure today to host Alison Bruce and her new book, “Ghost Writer”! For other stops on her Goddess Fish Promotions Book Tour, please click on the banner above or any of the images in this post. Be sure to make it to the end of this post to enter to win an ebook copy of “Deadly Season”!! Also, come back daily to interact with Alison and to increase your chances of winning! That night, I dreamed of the station again. This didn't surprise me. All my life, whenever something big was looming on my horizon, I would dream about it the night before. I rehearsed exams, job interviews, even giving birth although the last one had little bearing on reality. The station dreams felt like my pre-birth dreams, filled with anticipatory anxiety. There was a lot of blood in those dreams too. I had a repeat of the first dream, woke up, walked around a bit and went back to sleep only to have it repeat again. When I saw which way the dream was going, I decided I needed to wake up. Usually I can do this when I know I'm dreaming. This time, it was like waking up and discovering that reality was scarier than the dream. Six men sit around the table playing poker. They are drinking coffee, though as I watched, one man pulls a flask out of his pocket and hands it around. A few are smoking. Contrails of cigarette smoke drift towards the exhaust fans. A seventh man enters. The flask disappears and two of the smokers stubbed out their butts. The game continues, but there's no laughter. Then comes the blood and the screams. There is a murderer aboard the station. He has killed all the others and is now coming for me. I grew up surrounded by books. I can remember climbing the built-in bookshelves my father constructed when my parents turned the basement bedrooms into a playroom. Those shelves were full to capacity with everything from the collected works of George Bernard Shaw to pulp fiction spy thrillers. One of my early independent book reports was on Alex Hailey’s Airport, a book that had caught my eye when climbing the shelves. I was the kind of kid that would haunt the library for more adventures of Freddy the Pig and then pick up And Then There Were None by Agatha Christie. I loved Alice in Wonderland and Georgette Heyer’s Regency romances in equal measure. The day I discovered Terry Pratchett’s Discworld series in a London bookstore, I was looking to fill in the gaps in my Paddington Bear books. I have always been able to get lost in books. I was off school a lot because of ear infections. Although we were allowed to watch TV when we were home sick, there wasn’t much to watch besides soap operas and game shows until after school. Reading was my distraction. At age nine I had an ear operation that cut down the infections but made me completely deaf in one ear. When it got too hard to make out what people were saying, I’d tune them out and either read or daydream. When the daydreams got too complicated to keep straight, I started writing them out, first as a synopsis with a few scenes, then as stories. No matter where I went, I had a book to read and a clipboard to write on. Things haven’t changed much except my clipboard and books all fit on a tablet. Alison Bruce writes history, mystery and suspense. Her books combine clever mysteries, well-researched backgrounds and a touch of romance. Her protagonists are marked by their strength of character, sense of humor and the ability to adapt (sooner or later) to new situations. Four of her novels have been finalists for genre awards. Alison will be awarding an ebook copy of Deadly Season to a randomly drawn winner via Rafflecopter during the tour. Wow - I never thought of being partially deaf as lending itself to story creation. This was an interesting post, one I'll not forget. Lovely site, by the way. The colours sing. No.My dad built those shelves so solidly into the wall that the went with the house. It's like he knew we'd climb them. 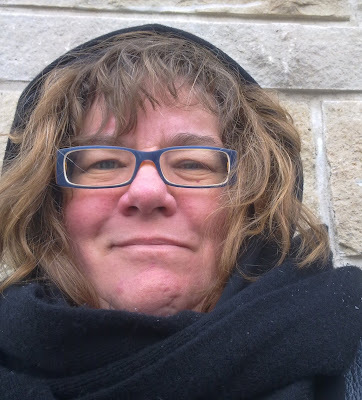 I agree with Melodie, I never thought of that aspect of partial deafness contributing to thinking about stories all the time, but it makes sense. Writing comes from our inner worlds and yours is massively creative. Thanks for sharing that. Thank you for hosting me today! Looks great!